A pre-teen with paranormal powers, including the ability to see and talk to ghosts, provides the heart of this tale set around All Hallows Eve. Jake Eden feels like something is missing, and sadness and anxiety haunt him, despite his seven lifelong friends. In a dream, the young man encounters his dead great-grandfather, who explains who Jake really is and that he’s destined to do great things. Although finding answers relieves Jake’s sadness and anxiety, he and his friends experience another adventure around the year’s spookiest holiday. 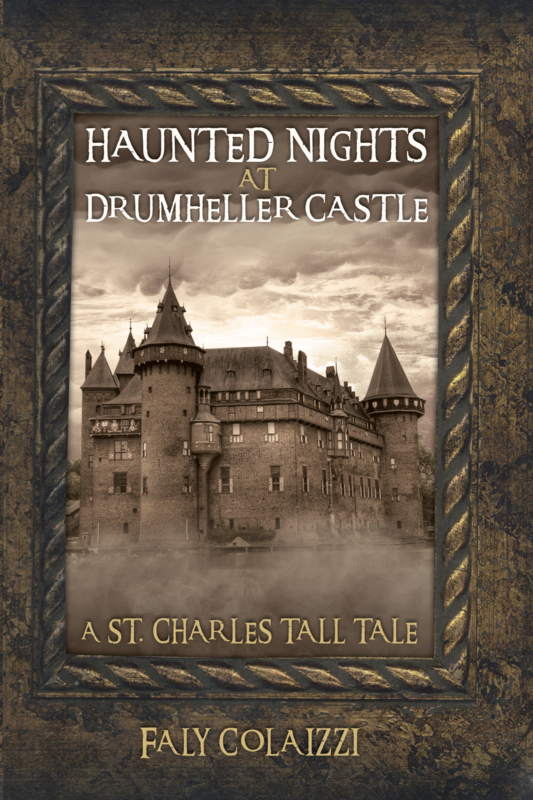 Haunted Nights at Drumheller Castle, published by Dog Ear Publishing, showcases historic places and landmarks in the picture-perfect town of St. Charles, founded in the 1800s. Jake and his friends explore cemeteries, haunted railroads and Drumheller Castle, searching for the answers to Jake’s life mysteries. During their adventures, they meet characters like cemetery groundskeeper Old Man Wiggins and the ghost of Mark Drumheller. A grave, a gold skeleton key, a vampire’s hanging coffin and a haunted castle liven up this tall tale. Events unfold that force Jake to use his paranormal powers, and the young people must use all their wits. Finally, fate and destiny combine as Jake discovers his true purpose in life. Author Faly Colaizzi, who was born in Chicago, grew up with a love of horses, farmland and music. She loves castles and travels around the world to see them. She graduated from Illinois State University and worked 20 years as a sales manager. Colaizzi and her husband, Steve, have two boys. Imagine a walk down memory lane that’s more like a tornado twisting through the landscape, and you’ll have an inkling of the author’s humor in this refreshing memoir. Farley grew up in a small rural town he likens to a “geographic Petri dish that produced about 150 of the most unique individuals” he ever met, including his paternal grandparents, Nanno and Pappaw. From nearly blinding his future fifth-grade teacher with a BB gun in his grandmother’s beauty shop to pine cone and bottle rocket wars to tracking down a boy with an Eddie Munster haircut who would soon become his best friend, Farley’s stories put a personal spin on life as a young boy. 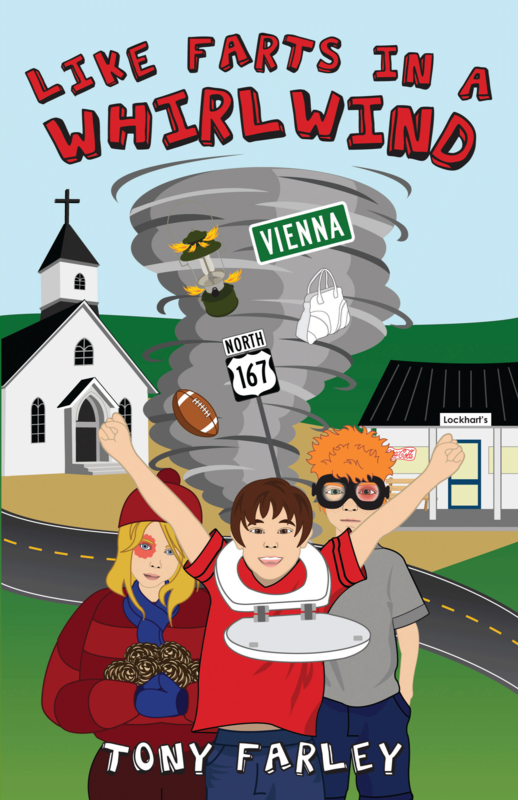 Like Farts in a Whirlwind, published Dog Ear Publishing, brings small-town life into vivid focus. The author’s description of Lockhart’s – a general store that serves as the town’s center – will make readers feel as if they too stood on the warped wooden floorboards “that looked like they may have been imported from an old abandoned roller rink.” Its front bench is home to neighborhood children and old men. Although its nonperishable goods might be covered in dust, somehow Lockhart’s manages to have the very latest in sugar products and a clientele that appreciates them. Author Tony Farley is a lifelong resident of the Vienna area of north central Louisiana. The Louisiana Tech University graduate owns Vienna Motors, which now sits at the epicenter of most of the stories in his book. Readers will delight as they hear tales about the town’s characters, including some from the author’s own family. “…[T]here are some sinister influences entangled in the midst, greatly affecting many decisions and beliefs, steering them in the direction of a sometimes dark and rebellious generation. The people of God are also entangled in this system.” Andre S. Taylor’s fearless study of the various types of characters, both positive and negative, found in any modern congregation will make readers closely examine the contents of their own hearts as well as the hearts of their friends and neighbors. According to Taylor, there are at least four types found in any given church: the First Family, the Church Entertainers, the Meek and Humble, and the False Teachers. These basic genotypes make up the mix of the saved and the lost in a congregation. Using simple, easy-to-understand language, Taylor shares the characteristics of each “type”, with ample examples from life as well as appropriate supporting scripture. This book is intended to be a teaching tool for everyone from the newest believer to those who are more developed in their faith. 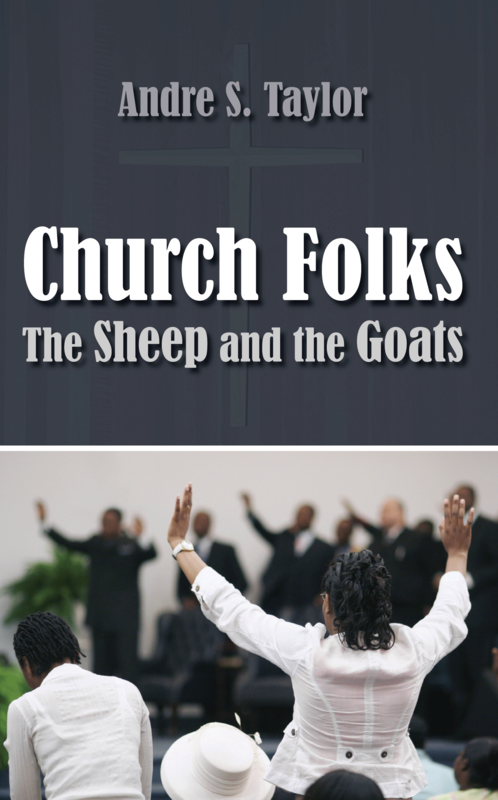 Church Folks: The Sheep and the Goats, published by Dog Ear Publishing, is a hard-hitting spiritual book, designed to help strengthen the reader’s faith by pointing out potential pitfalls found in most every church. Andre S. Taylor is the founder of Passion for Christ Ministries in Memphis, TN. He answered the call to ministry in 2000, and has worked with various outreach and mission groups ever since. His current work includes teaching seminars, outreach and volunteer collaboration with other ministries, and also includes a weekly radio broadcast called “Mission Possible,” which airs his teaching series: “One on One Bible Teaching with Andre Taylor.” Taylor lives in Memphis, TN with his family. Deciding to quit drinking is an important step for those who abuse alcohol. 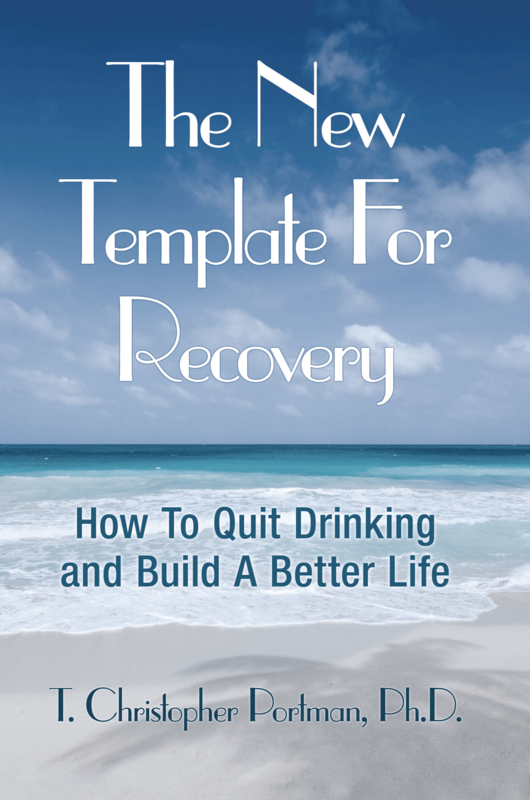 This book is a powerful tool for anyone who wants to gain sobriety on his own and pursue “a forward-going approach to recovery and to become excited, rather than depressed, about life without alcohol.” The author goes beyond standard treatments to provide a practical, self-directed guide to sobriety and a better quality of life through a personalized recovery template that addresses each person’s needs. Portman helps drinkers focus on going forward, providing a forward-facing template for recovery, powerful strategies to prevent relapses and the motivation to reinvent their life on their own. The New Template for Recovery, published by Dog Ear Publishing, draws on Portman’s more than three decades of helping thousands of people with alcohol problems. His approach breaks the process down into logical areas of recovery. Alcohol abusers can learn how bad their alcohol use problem is, how to safely manage withdrawing from alcohol, the pros and cons of AA and standard treatment programs and the effects of psychological and physical addiction. This guide also details “quitting vs. recovery,” emotional recovery, repairing and starting relationships, career recovery, philosophical/spiritual recovery and understanding relapse. Instead of abusers fearing to give up alcohol, the book aims to liberate them. Author T. Christopher Portman earned a doctorate at the University of Oregon. He lives in Bellingham, Wash., where his practice focuses on treating addictions and related mental health and relationship issues. Portman has directed both outpatient and inpatient treatment programs and taught addiction courses and seminars in the Pacific Northwest. For more information, visit www.recoverytemplate.com. 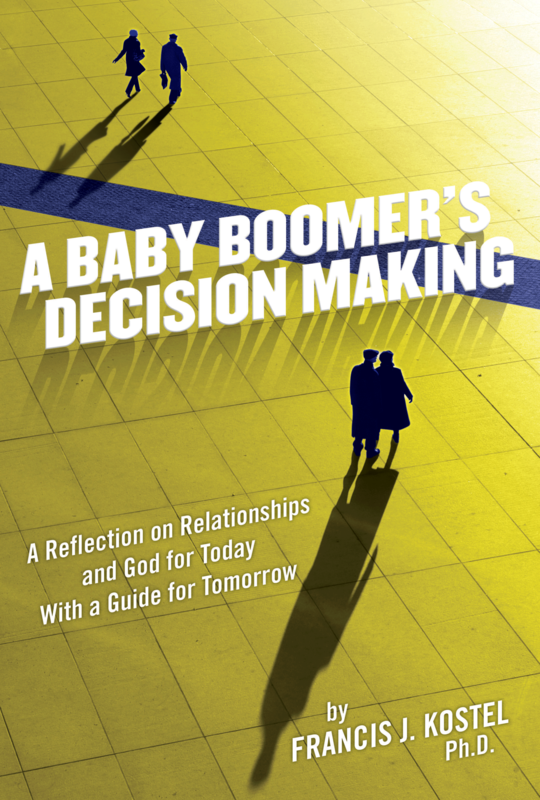 Explore How Baby Boomers Make Decisions About Life, Love with New Release – Book by Francis J. Kostel, Ph.D.
A Baby Boomer’s Decision Making, published by Dog Ear Publishing, leads readers through the process of making decisions, from learning the tools to the peaks and valleys of choices to reflecting on choices made. The author shares his own decisions, such as agreeing to serve as interim principal at a high school he’d served for many years, and how he made his way after not being named officially to that position. Or his decision to attend St. Augustine Seminary for high school and learning meditation, which helped him later in life in his career and as a family man. A series of discussion questions mirroring the 11 chapters of the book allows individuals to reflect in private and provides small groups the opportunity to explore decision-making issues together. Author Francis J. Kostel has experience with organizational success and conflict resolution. He serves as executive coach and mentor through August One Consulting and as an educator has given presentations on leadership, strategic planning, personnel evaluation, change and policy decisions. He has served on statewide and regional boards. Kostel, who earned a Ph.D. from the University of Chicago, was superintendent of schools in St. Charles, Il., and principal of St. Charles High School. For more information, visit www.frankostel.com or contact August One Consulting at augustone@sbcglobal.net. It’s no secret the automobile industry has changed dramatically in the last few years. Auto dealers wondering how to manage their growth – or lack of it – will find answers to the questions they grapple with every day. The author provides instructions on how to get predictable and consistent results to ensure a dealership’s long-term success. His three easy steps guide entrepreneurs to success, allowing them to learn from his mistakes and use his experience with what worked to do well in their own business. 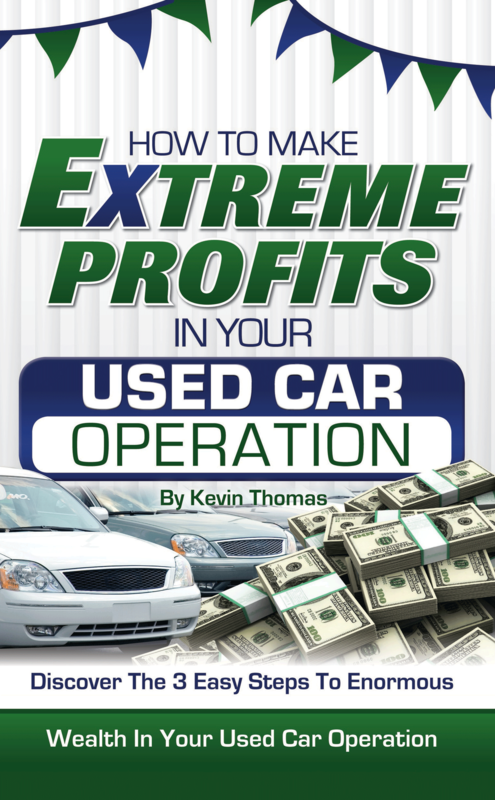 How To Make Extreme Profits In Your Used Car Operation, published by Dog Ear Publishing, showcases the author’s extensive experience in the automobile industry, from sales consultant to general manager and owner. The book describes basic steps to opening a dealership, as well as strategies and systems that improve efficiency, such as finding the right vehicles, defining a niche in the marketplace, developing a base of customers and blending all of the ideas together to get the most money from every deal. The author says that following his “Right System,” leads to success: “The right customer, plus the right vehicle, plus the right process equals the right profit.” This practical guide can help not only those considering starting a used car dealership but owners and managers whose dealerships are struggling. Author Kevin Thomas, a 15-year veteran of new and used car dealerships, owns and operators several of Georgia’s most successful stores. This Quality Dealer Award winner served as president of the Georgia Independent Automobile Dealers Association. Thomas is a graduate of the Professional business Coaching Alliance’s School of Coaching and serves on the board of directors for the Chamber of Commerce and is a past president of the local Rotary Club. This clever tale is another perceptive look into the wonderful and fascinating world of private clubs. Board of Directors President Clive Ogive and waitress-extraordinaire Esther team up again, this time to solve a gruesome murder at one of the world’s most private clubs – the Old Bunbury Golf Links & Reading Club. These colorful characters, first introduced in Ogive’s Private Clubs in America and Around the World, once again give readers a behind-the scenes look at the exclusive world of private clubs. The author’s insights, off-beat humor and wit provide plenty of humorous moments – and political jabs as well. Murder and Mayhem at Old Bunbury, published by Dog Ear Publishing, provides a tongue-in-cheek tale about private clubs, which have significant influences throughout U.S. history and the present. From the moment police and other officials arrive to investigate longtime member Alfie Johnsons’s demise on the golf course, the club is thrown into mayhem. The case has plenty of suspects: Johnson’s three ex-wives, loan sharks and husbands of married women he entertained all had motive to do away with him. So why is Clive not relieved when Esther says she’ll investigate on her own? Old Bunbury is rocked by multiple arrests and an assault before the tale comes to its surprising conclusion. 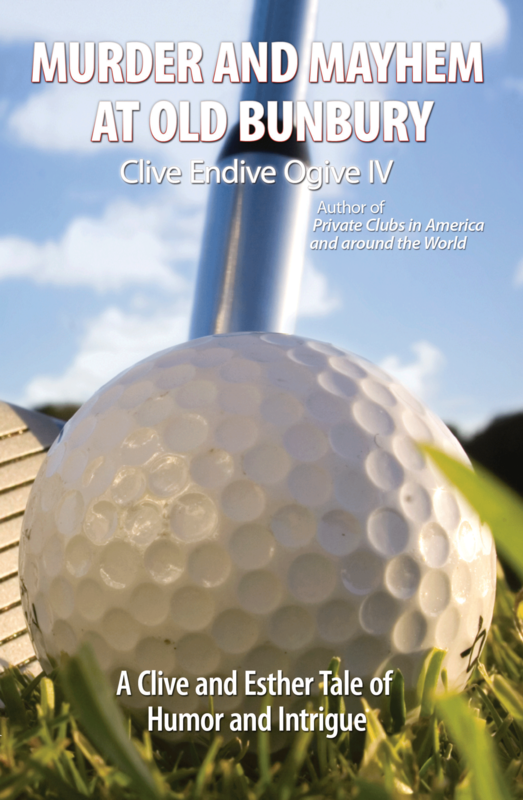 Author Clive Endive Ogive IV belongs to at least 18 exclusive private clubs. This is his second book. For more information, visit www.CliveEndiveOgiveIV.com.